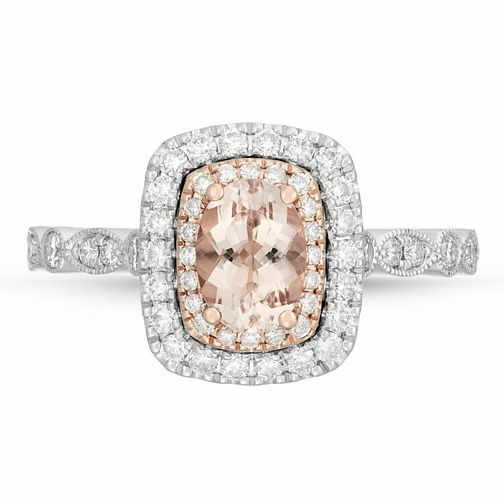 The grandest of proposals requires a grand ring, with this stunning statement piece from Neil Lane, featuring a diamond halo design with diamond-set shoulders and an opulent peach-coloured morganite stone as the centrepiece. Celebrate your engagement with one of the biggest jewellery designers in Hollywood. The total carat weight of all diamonds together is 0.58ct.